Unique bow wood tie clip with stainless steel clasp bar. 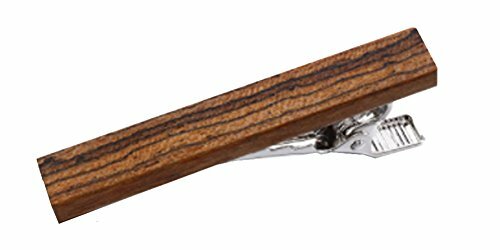 This classic wood tie clip is excellent for weddings, groomsmen, college fraternity, business, professional attire, corporate gifts, anniversaries, formal events and parties. If you have any questions about this product by D&L Menswear, contact us by completing and submitting the form below. If you are looking for a specif part number, please include it with your message.